Composer Benjamin Wallfisch and filmmaker David F. Sandberg both are fans of the 1978 Richard Donner feature. For Shazam!, composer Benjamin Wallfisch took a page out of Superman’s playbook. New Line and DC’s Shazam! marks Wallfisch’s third collaboration with director David F. Sandberg after 2016’s Lights Out and 2017’sAnnabelle: Creation — and the genre-bending superhero flic brought several new challenges to the British-born composer. “Dave and I were at dinner when we really dug into the template for what Shazam!’s score would be,” Wallfisch tells The Hollywood Reporter of its inception. Sandberg was a big fan of the 1970s and 1980s blockbuster films and their scores, specifically John Williams’ Superman work and Alan Silvestri’s Back to the Future score. “We both loved those scores, I know I wore out a lot of vinyl listening to them,” Wallfisch recalls. While the film’s setting is modern day, Wallfisch noted that the character comes from the Golden Age of superhero comics. “This is a character from the 1940s, and David and I wanted to honor that classic feel with a score that feels like it could’ve been written 30 years ago,” he says. Shazam! opens with the young version of Dr. Sivana being tested by the Wizard (Djimon Hounsou). The young Sivana proves unworthy of the powers of Shazam, and this rejection leads to a lifelong fascination with the Wizard, his lair, and the power that Sivana believes he deserves. 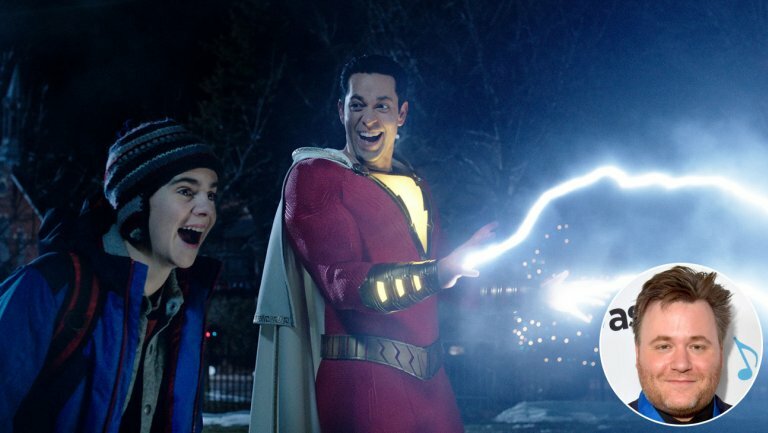 The powers of Shazam are ultimately granted to Billy Batson (Asher Angel and Zachary Levi), an orphan boy bouncing from foster home to foster home in Philadelphia. Billy is constantly on the run, searching for his mother who seemingly lost him in a crowd. Billy’s encounter with the Wizard sets him on a path of self-discovery, where he learns what it takes to be a hero and the true meaning of family.